Somehow oatcakes ended up pulling the short straw. They must have, to end up with a name like that. When you hear the word “oatcake,” do you think of a bland, dry hockey puck? Probably not a hearty, delicious muffin. This recipe changes everything. I have to admit, even I wasn’t expecting to be dazzled by these oatcakes. 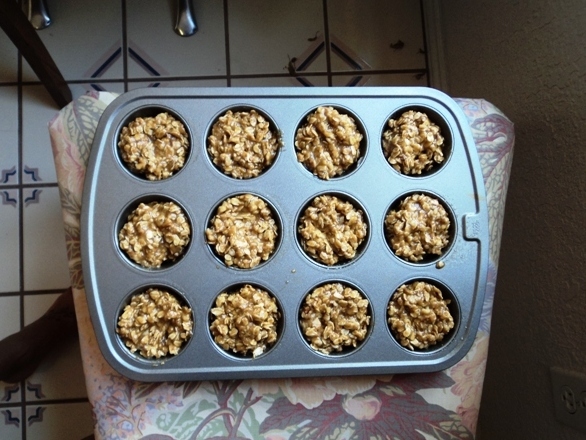 I figured they’d be good, and with the walnuts and flax seeds, they’d be healthy. But I had no idea I was about to fall in love. 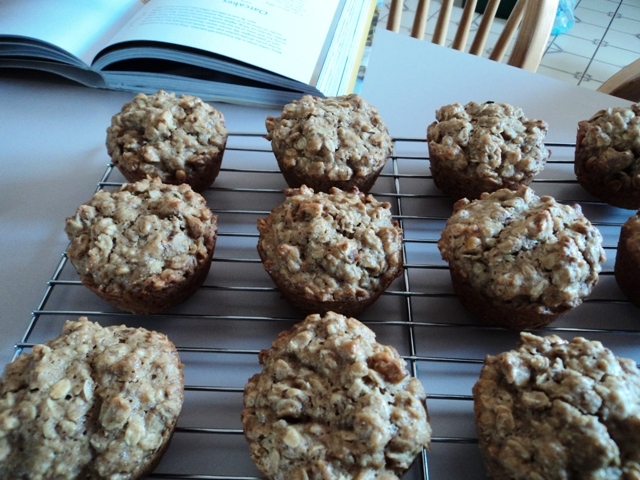 Apparently, if you combine a healthy amount of oats with whole-wheat flour, walnuts, and maple syrup magic happens; there will be nothing dry or bland about these. The old-fashioned oats give it some weight, so it doesn’t feel like you’re eating mostly air when you grab one of these oatcakes for breakfast. Does anyone else feel like that about doughnuts? Those things are the most delicious air I’ve ever eaten. 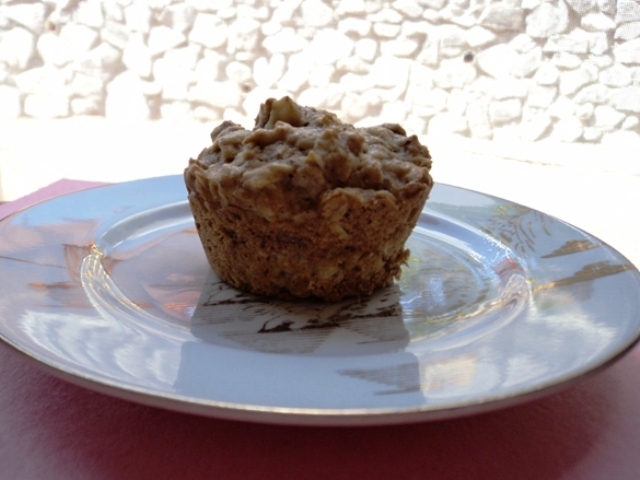 Anyway, the walnuts add a complimentary texture to these muffin-like cakes. They give you something to crunch down on, in the midst of the oaty morning mist. Keeps you on your toes, you know. Maple syrup sweetens the cakes, without being sugary, and there’s just enough salt in the recipe to keep it feeling almost savory. Maybe it’s just me, but the first time I bit into these (carefully, as they were right out of the oven), I got hints of cornbread in the flavor profile. It was only that first bite, though, so maybe I’m crazy. 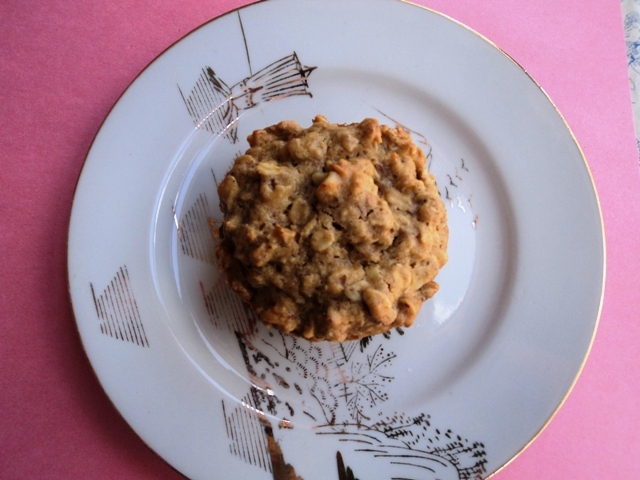 Either way, these oatcake muffins are more similar to cornbread than, say, a cupcake. Or a hockey puck. These oatcakes really were life changing. Try them, and you’ll understand. Preheat oven to 325 degrees. Grease or line a muffin pan. Toast walnuts in a small, dry pan over medium heat until fragrant. Keep an eye on these – you don’t want them to burn. 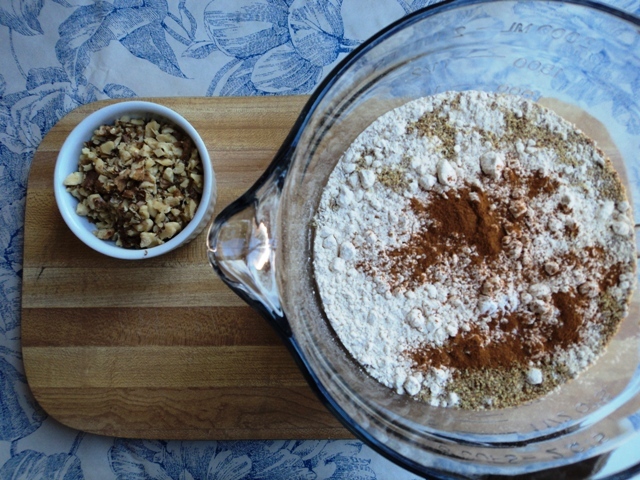 Combine the dry ingredients in a large bowl: oats, flour, baking powder, salt, flax seeds, and walnuts. Meanwhile, in a medium saucepan over low heat, combine the coconut oil, butter, maple syrup, and sugar and slowly melt together. Stir just until the butter melts and the sugar has dissolved, and then remove from heat. 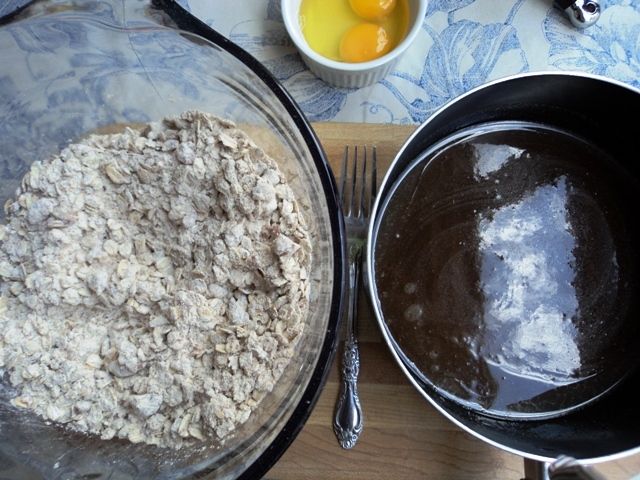 Pour the slightly warm coconut oil mixture over the oat mixture. Stir together with a fork, and then add the eggs. Stir again until everything comes together into a wet dough, and spoon the dough into the muffin cups. They will be nearly full, but won’t rise too much in the oven. Bake for 25-30 minutes, until the edges of each oatcake are deeply golden. Remove from oven and let cool a couple of minutes. Then, run a knife around the edges of the cakes and tip them out onto a cooking rack. Serve warm, at room temperature, plain, or slathered with butter or jelly. Enjoy!